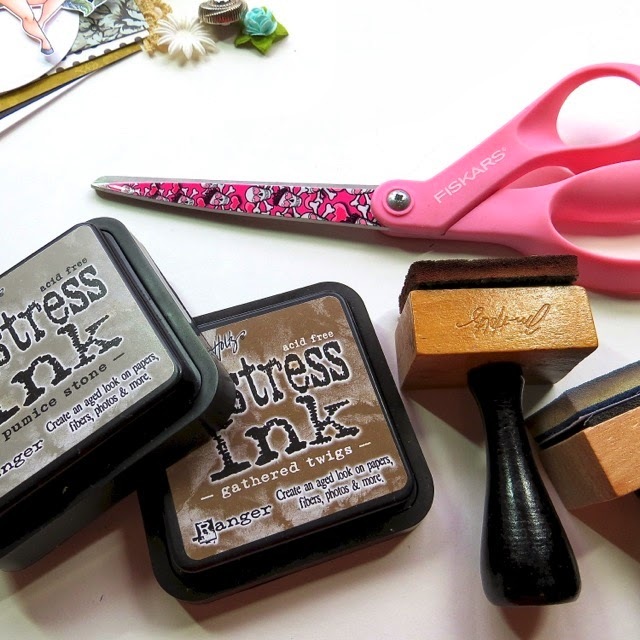 The Ink Trap: Krafty Tips and Tuts: Dressed for Distress! I've gathered all my card elements and though they look like they're ready to assemble, I'm going to rough them up a bit to add more interest. 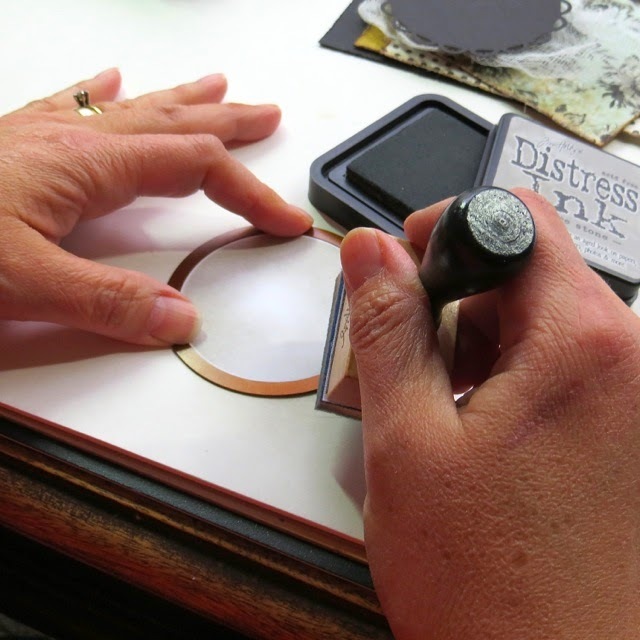 Here are some of my favorite tools for distress. 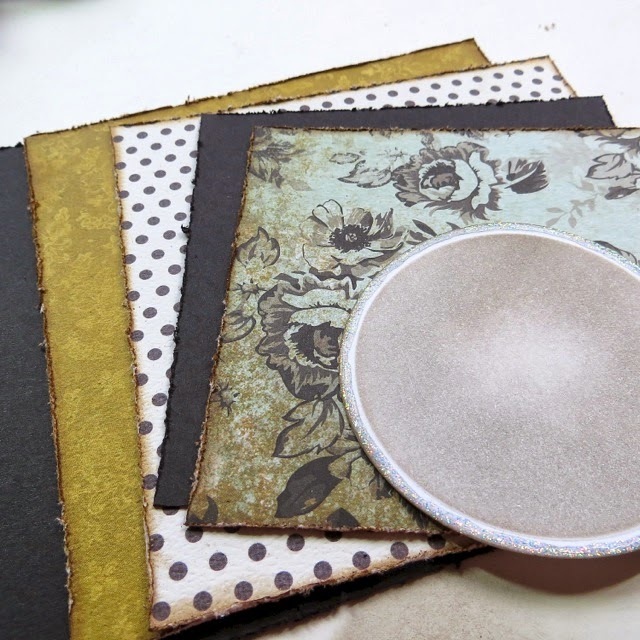 Distress Ink Pads in Pumice Stone and Gathered Twigs are a couple of my "go to" grunge ingredients. I know you're jealous of my skully themed scissors! I start with Gathered Twigs Distress Ink and sponge it just on the edges of each of my patterned papers. 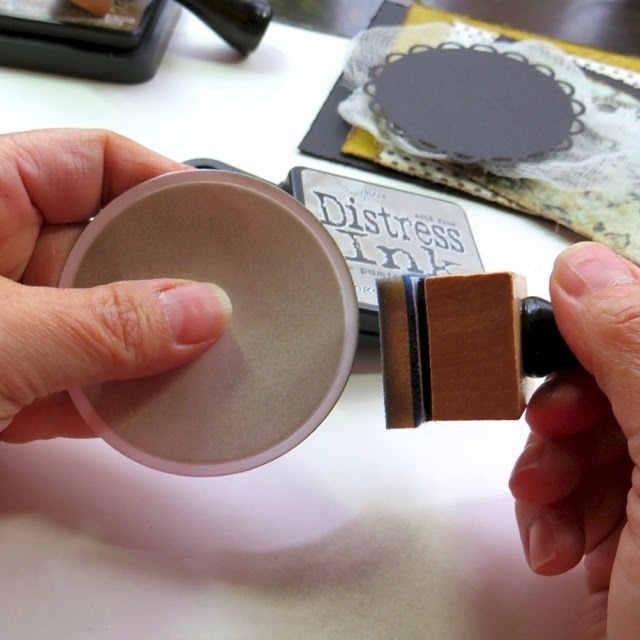 Next, I sponge Pumice Stone Distress Ink onto a die cut panel with the die cut still intact in the die. This will act as a stencil and give me a nice white border. 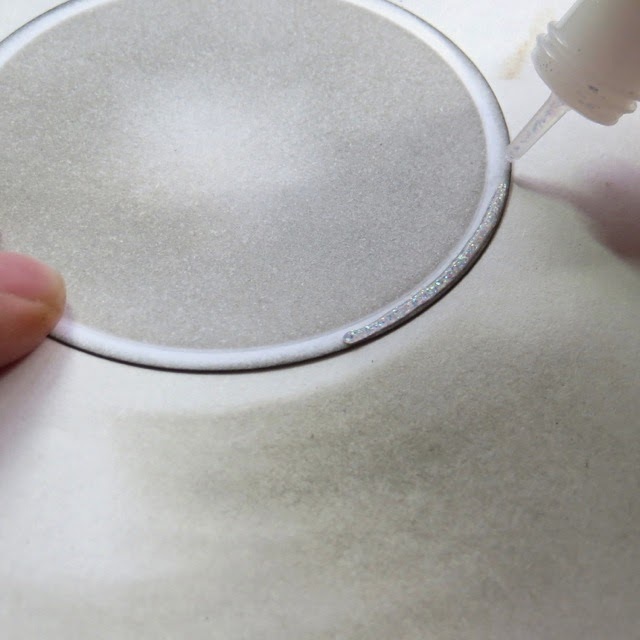 In order to maintain a smooth finish, I apply the ink using a circular motion starting off the die and gradually work my way onto it. 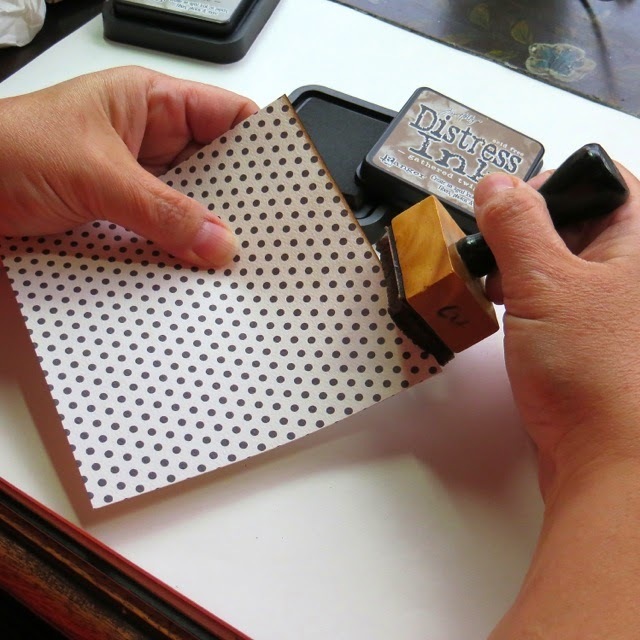 Then I sponge Pumice Stone onto the edges of the die. 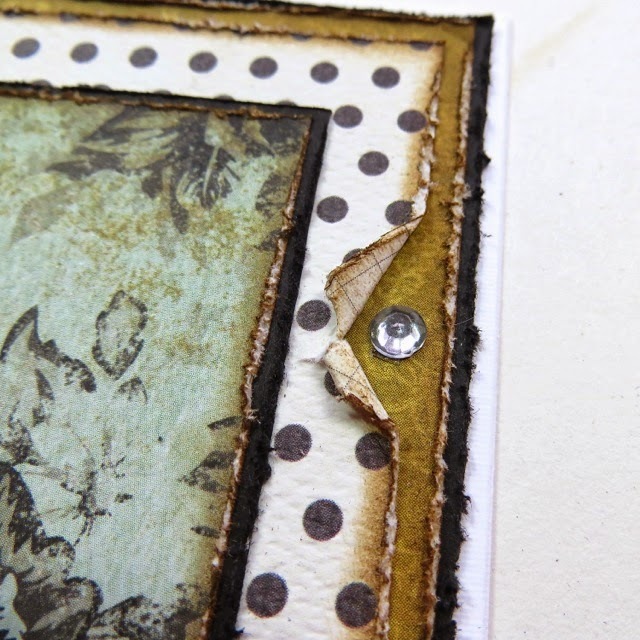 I rim the edge of the die with Diamond Stickles glitter glue. 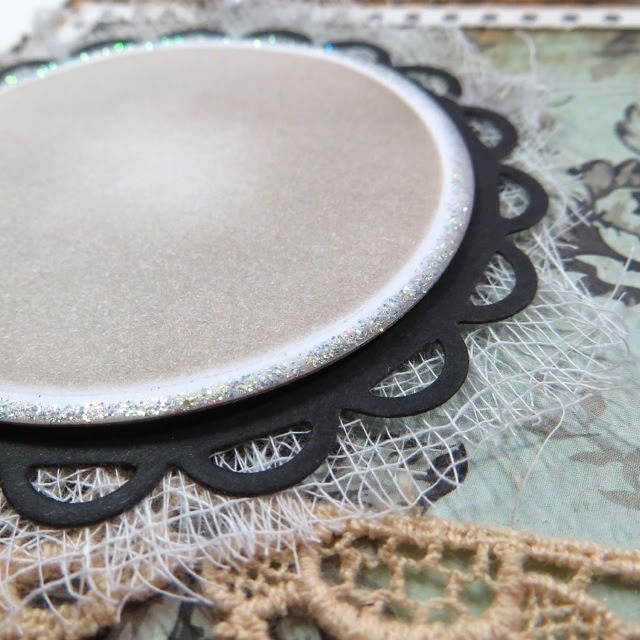 This has a subtle gold fleck in it and picks up whatever color you put it over. In this case it picks up that Pumice Stone and the results are something in between a vintage gold and pewter. I've distressed all my edges and let the Stickles dry, now I'm ready to get this show on the road. Let's build this card! I've adhered all my layers together, but added a couple of carefully placed tears in the polka dot panel to expose a gem stone. I've continued my layering adding a bit of cheese cloth for more texture. Cheese cloth is inexpensive and makes for a great unexpected detail. 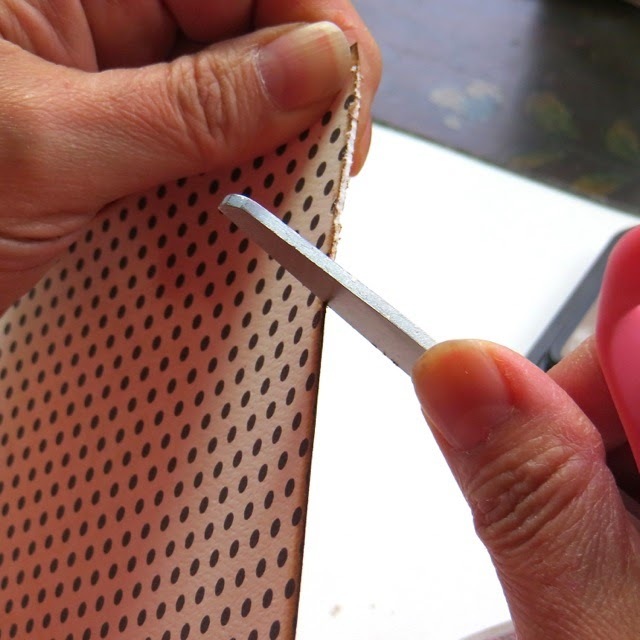 My die cuts all have a layer of dimensional foam tape between them for depth. I add my Show Stopper image also using a foam tape. A few last minute additions and this card is ready to go! Check out that old button. I buy them by the jar at antique stores and always have a great assortment to chose from. Amazing tutorial! Your card is really beautiful. I'm in love with the papers. Which collection is it? Thanks! OMG...I am totally in awe of your coloring already and now all of the details you put into your cards. LOVE IT!!!! !